This awesome Grand Theft Auto V Art is Awesome! 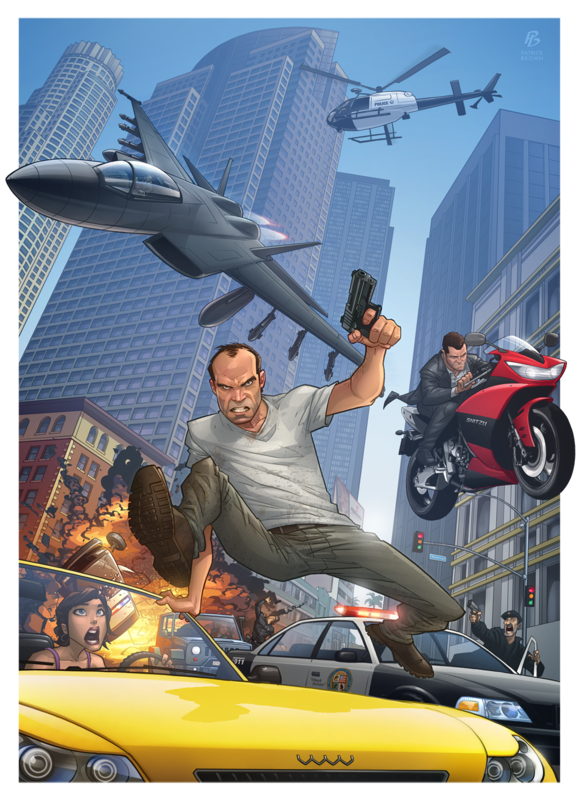 Aww, the first big Grand Theft Auto V Fan Art hit the Net, drawn by the awesome Patrick Brown who is getting featured a bit more often here in the near future it was promoted on multiple websites already. 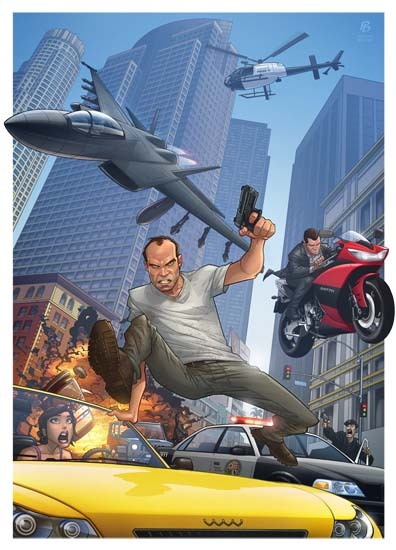 The GTA V Illustration shows the three protagonists of the game, i recommend viewing it in fullsize for all the details!